The Joint School of Nanoscience and Nanoengineering (JSNN) is a collaborative project between UNC Greensboro and NC A&T State University. With a mission of training students to conduct curiosity-driven and purpose-driven research, the school offers a groundbreaking program in both nanoscience and nanoengineering. It is also the first program in the nation to offer such degrees with a biological or chemical emphasis. 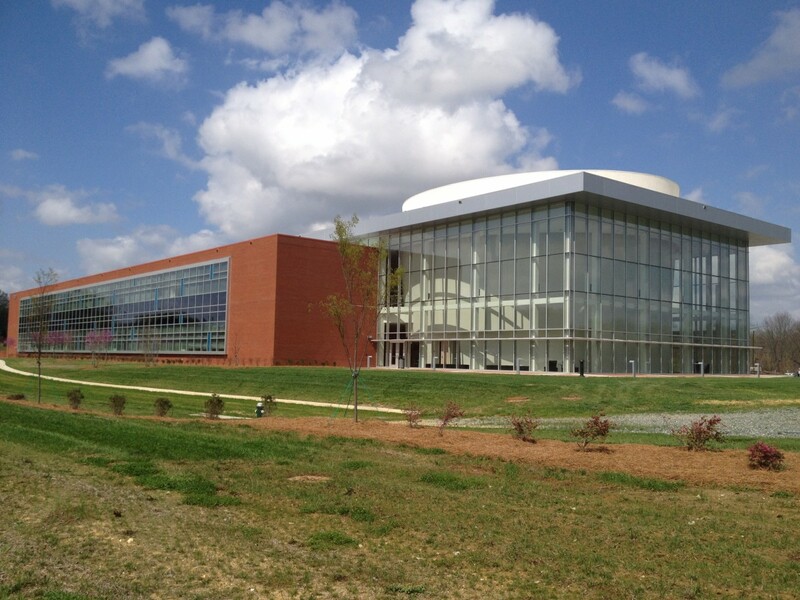 The three-story, approximately 105,000-square-foot facility is located within the new Gateway University Research Park South Campus, which consists of 75 acres. Stewart provided both structural and landscape architectural services for this high-profile project. The building is comprised of a structural steel frame bearing on steel columns for the roof and upper floors of the building. The lowest laboratory level is cast in place concrete on concrete columns due to the very sensitive vibration requirements. The building also included a Nuclear Magnetic Resonance (NMR) room which required the use of fiberglass reinforcing. The JSNN building also features a unique auditorium area, which extends from the ground level to the roof structure. This iconic structure serves as an entrance to the campus. Glass walls and an open long span structural system work together to highlight the lighted sloped walls of the circular auditorium. The landscape architectural scope consisted of the design of a 15,000-square-foot plaza adjacent to the JSNN building. The plaza’s focal point is a water feature with a seat wall around it. There are also plantings and additional seating located within a nearby grove of trees, giving more spatial context to the water feature and front entrance of the building. Larger trees flank either side of the plaza to frame the building. Site furnishings and lighting are included as well.